Just as a woman is watching her face shrivel up like the faces in those paintings in the haunted house at Disneyland, a cruel irony of life surfaces. She sees her daughter burst into full bloom in front of her; probably as beautiful as she’ll ever be. It’s like roses on a rosebush. The mom is the one that’s left with just a knob and some straw-like hairs poking out, next to the fully bloomed, lush rose wafting her fragrance across the yard with a toss of her head. A mother can do one of two things; she can decide to be jealous and compete, which doesn’t usually end well — in life, or made for TV movies. Or she can look at her daughter adoringly and be thrilled for her. I just got done looking at photos of my daughter in full bloom, in Mexico on vacation, having an absolute ball, and am thrilled. I’m thrilled because I learned it from my mom. It didn’t come naturally. What comes naturally is to look longingly and wish you were hot again. But my mom taught me to be bigger than that. My daughter got the great, long, legs I always wanted and perfect hair that looks cute curly or straight. Her teeth are perfect and she eats like a horse and never gains an ounce. (Ok, I might be the teensiest bit jealous of that.) If I’m 1.0, she’s 2.0 and if she has a daughter, maybe she’ll be 3.0. Do I look at those photos and think, Damn I wish I was 18 and beautiful again? Of course, but I did it once and now it’s her turn. I just hope she realizes how lucky she is to be 18, cute and metabolizing well, sometime before she’s 58 years old. 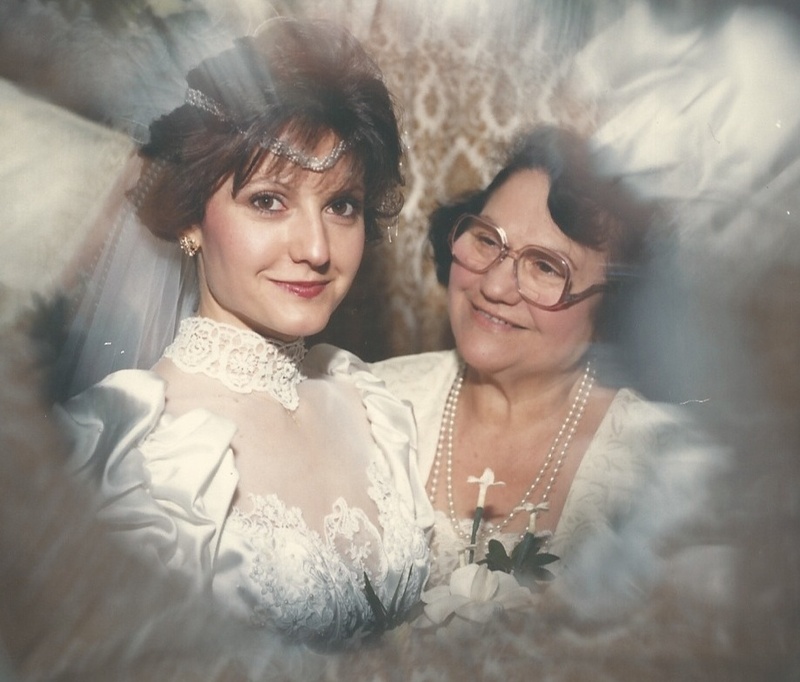 Unbelievably corny shot on my wedding day with my adoring mom. I cannot believe I let myself be seen in this dress with that veil getup. I also silently thank my mom, who never competed. She always looked at me lovingly, even when she wanted to strangle me because I was imitating her or hadn’t done what she wanted. And every so often when she gazed at me, I’d catch a hint of wistfulness in her look that said, I used to be beautiful too when I was young. She was, and had the beauty prizes to prove it. But, she always shrugged it off and was my best cheerleader. I hope I’m that for my daughter. Yep, it may be time to pass down the mascara wand. This entry was posted in Great Memories, Random Thoughts and tagged beauty, competition, daughter, jealousy, mom, mother, prime of life. Bookmark the permalink. It was a magical day especially the fact that dad walked out of the hospital after a liver operation and down the aisle with you. Nice article Brun! Yeah, that was pretty miraculous. Thanks for taking the time to comment! Glad you liked it. Fran, I love this story. Although I do not have a daughter, I can imagine how you must feel. But you seriously underestimate your own beauty! Thank you Colleen. I appreciate your sweet words. One thing is certain. Aging is not for sissies. Gee whiz. You look beautiful in your profile picture – I would say if aging is an art, you got talent. Well Elizabeth, my make up was skillfully applied that day. Thank you so much! I might as well join the mutual admiration club by saying that you sure know how to turn a phrase !! What a wonderful view of life. Thanks, Fran! Thanks Don, it was all my mom. Absolutely love this post and the beautiful message that it sends! 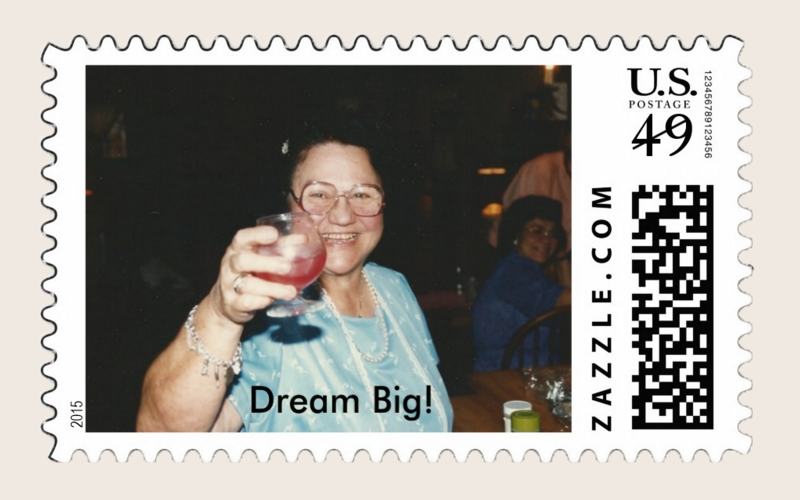 Patty, if it wasn’t for you, this post would not have been written! Thank you! Au contraire! You, the dress and veil looked beautiful…I remember! I’m just flat-out blown away by your ability to write with humor and truth about the complexities of life. It’s a gift, and you have it! Thanks DT, I appreciate that and I love it when you speak French.